Content marketing basically means the techniques and strategies to building and developing high quality content to attract and engage the audience. If the readers are attracted by what the site has to offer then the brand will also get promoted among them. Earlier, the trend was to concentrate only on the chosen keywords and how they can be brought to the forefront. However, Google has changed its algorithms. For that reason, the online marketers had to develop new strategies. In one of the updates, Google completely shifted the way it ranked websites by decreasing the importance of keywords as a ranking factor. Instead, the marketers realized that they needed streamline their content according to relevance in order to get better audience engagement, which became more important than keywords. Over the years it was seen that content needed to be properly marketed. If it was done correctly, it would provide a very good SEO boost. It is very important to create interesting and engaging content. It can be in various forms and they can be shared in various forms across the web. Blog: Blogs are a good way to write content for personal or business use and share it across the web. You can write blogs on different topics and themes. Do not forget to include the share buttons for various social media. If the content is shared on the social media, it will also create a sense of harmony and community among each other. Social Media: Social Media is very essential to improve the site’s visibility and make it reachable to different customers across the globe. You can customize your ad and filter it according to the geographical location, interests and so on. Email Marketing: If you are able to build an email subscription list, you will be able to reach far more audience. You can select the relevant content for the right audience and help your brand get better exposure to the right audience. Images: Content marketing is not limited to just articles and blogs. You can also use the videos and images in it to get more exposure. 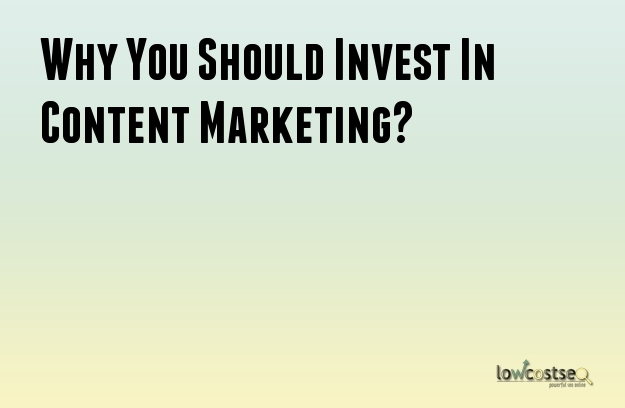 There are some tips that you need to follow to get the content marketing going. Keyword Research: It is important that you discover the right keywords for the site. Go for the long tailed keywords as they are they get the most hits. There are many free tools like Google Keywords planner that will help you select the right keyword to your content. Strategy: Just choosing the keyword is not enough, you will also have to find out the right strategy for it. You need to do proper analysis of the target audience and the expectations with all the information and the data that you have. You also need to put the right visuals and images to make the content attractive. Track the Results: You can use Google Analytics to check the results of the SEO campaigns. You can use the key metrics to determine the actual results. The CRO or conversion rate optimization is also another good way to understand the tests and make the impressions effective.